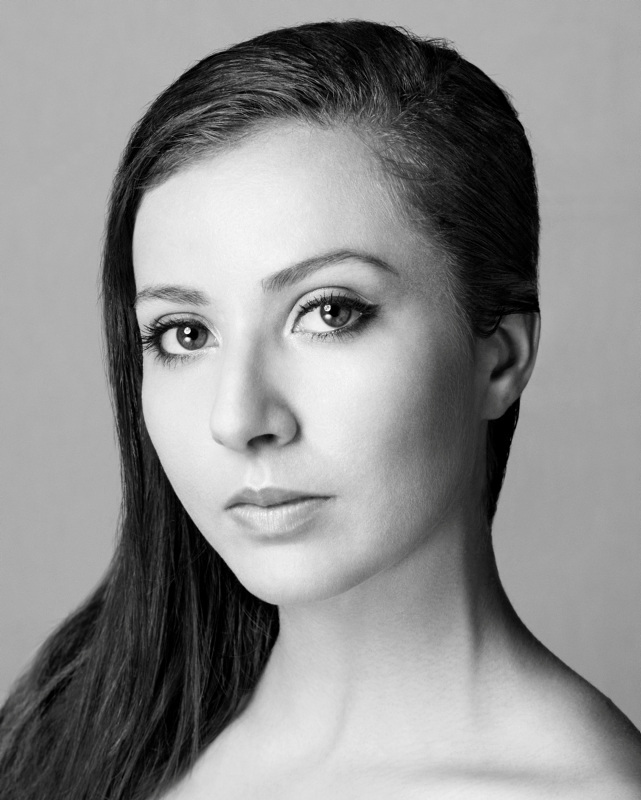 Thamires Chuvas has danced featured roles in Tomasson’s Nutcracker (Spanish and French), Romeo & Juliet (Juliet’s Friends), The Sleeping Beauty (Pas de Six/Gold Fairy and White Cat), and Swan Lake (Aristocrats and Cygnets); Tomasson/Possokhov’s Don Quixote (Bridesmaids); and Balanchine’s Coppélia (Swanilda’s Friends and Jesterettes) and Diamonds (soloist). She created a corps couples role in Rhoden’s LET’S BEGIN AT THE END. Her repertory includes Balanchine’s Brahms-Schoenberg Quartet (3rd movement), The Four Temperaments (Sanguinic corps), Rubies, Serenade, the 4th movement and finale from Symphony in C, and Theme and Variations; Cranko’s Onegin; Makarova’s (after Petipa) “The Kingdom of the Shades” from La Bayadère, Act II; Peck’s In the Countenance of Kings; Ratmansky’s Shostakovich Trilogy (Piano Concerto #1); Robbins’ The Cage, Glass Pieces, and Opus 19/The Dreamer; Scarlett’s Frankenstein; Thatcher’s Ghost in the Machine; Tomasson’s Giselle (Peasants and Wilis), The Fifth Season, Haffner Symphony, On a Theme of Paganini, and Prism; Welch’s Bespoke; and Wheeldon’s Cinderella (Spring corps). Thamires danced in the 2015 film of Tomasson’s Romeo & Juliet (Juliet’s Friends) in the inaugural season of Lincoln Center at the Movies: Great American Dance.